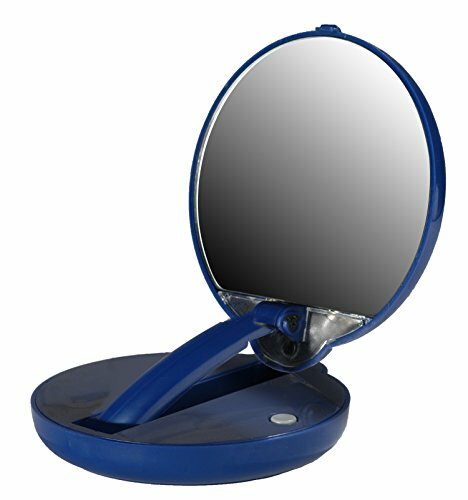 Floxite mirror mate lighted, adjustable compact. 15x magnification. Adjustable arm - fold to use as a compact, raise to use on a vanity. Two super bright bulbs. Includes mirror, 4 AAA batteries and instruction manual. Blue. If you have any questions about this product by Floxite, contact us by completing and submitting the form below. If you are looking for a specif part number, please include it with your message.